A view of the college in its early years. Founded in 1964, Southwestern Community College takes pride in a history characterized by community involvement and collaboration resulting in excellent educational opportunities for the people of Jackson, Macon and Swain counties, the Qualla Boundary and beyond. Significantly, these educational opportunities have brought economic, personal and cultural benefits to the region and its people. 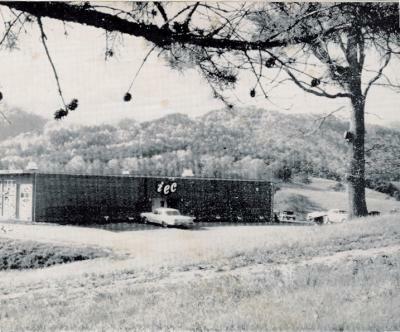 On December 1, 1964, the Jackson County Industrial Education Center officially opened with 60 students enrolled in full-time classes and 133 students signed up for short-term courses. Since that time, the College has evolved from an industrial education center to a technical institute to a technical college and finally to a fully-accredited community college. During that evolution, Southwestern has awarded more than 12,000 degrees, diplomas and certificates and has offered thousands of different classes. Throughout its history, SCC has responded to and anticipated the educational needs of the community and region, offering an ever-widening range of programs through which students prepare for the job market, transfer to senior institutions, and achieve professional and personal goals. The Burrell Building, the eighth structure on SCC's Jackson Campus, was completed in 2012. Today, SCC offers a wide range of curriculum programs in Arts and Sciences, Career Technologies, College Transfer and Health Sciences. In addition, the college provides a variety of Continuing Education courses at various locations throughout its service area. Most of these courses are designed to prepare students for entry into an occupation, upgrade skills of employed individuals, and provide opportunities for self-improvement. The expansion of such programs over the years has grown hand in hand with a growth in physical facilities, the number of students the College serves and in the College’s role in the region. The Jackson campus has grown from one to eight buildings that house classrooms, administrative offices, an auditorium, and a library. SCC also has facilities in the service area that include: a Macon Campus; the Public Safety Training Complex, Business and Industry Training Center in Macon County; the SCC Table Gaming School on the Qualla Boundary; and the Swain County Center at Almond which also houses the SCC Small Business Center. Partnering with the Eastern Band of Cherokee Indians and Western Carolina University, Southwestern developed the Oconaluftee Institute of Cultural Arts on the Qualla Boundary. Bob Keeling, Advertising & Graphic Design instructor, works with students. Always at the forefront of computer technology, SCC provides top notch computer support for students and employees with more than 1000 computers networked. The College has 25 computer labs for various curriculum programs and an open computer lab in the Library. In addition, the College has initiated online learning offerings for curriculum and continuing education offerings and put in place an infrastructure to the public schools and other community partners. To support these educational services, the College receives county, state and federal funding. To augment this funding and provide for extensive services, during the past three decades, SCC has sought and received more than $22.5 million in grant money. These funds have included federal construction grants, Appalachian Regional Commission grants, US Department of Education grants, New Century Scholars, basic education grants and a variety of other sources. In 2005 SCC received the largest grant in its history, a $5.9 million grant from the U.S. Department of Education. These funds are directed to public schools in the college’s three-county service area for GEAR UP (Gaining Awareness and Readiness for Undergraduate Programs). The SCC program is designed to increase the number of income eligible students in Macon, Swain and Jackson counties and the Qualla Boundary who are prepared to enter and succeed in postsecondary education. Also, the SCC Foundation, Inc., incorporated in 1973, strives to provide support for needs not covered by public funds or grant monies. Over the years, the Foundation has made significant contributions to the College in student scholarships, equipment donations and in capital improvements. In addition, many individuals and businesses have contributed to Foundation for specific needs. Of course, SCC’s primary purpose is to provide educational opportunities to students who enroll in courses and programs at the College. Additionally, the College has always believed it had a broader responsibility to the community and the people of the region at large. While this has been characteristic of the College since 1964, it was never more evident than when the College took a leadership role to bring the latest in technology and training to our rural region. In 2003 SCC became a participant in an effort to make high-speed affordable Internet access a reality in the region. Known as BalsamWest Fiber NET, the high-speed fiber optic network ensures that southwestern North Carolina can participate fully in a global economy by providing open and affordable access to this state-of-the art infrastructure. In the same spirit that led to the birth of Balsam West FibertNET, SCC trustees and foundation board members, president, instructors and staff strive to reach out through collaborations and partnerships to enrich the lives of the people of the region. Southwestern’s success with students was recognized nationwide in 2007 when the college was ranked fourth in the nation in a first-ever listing of America’s best community colleges. 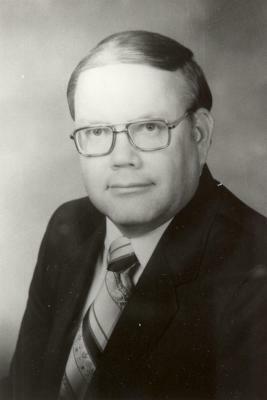 Southwestern Community College experienced a change in administration in 2010 when President Cecil Groves retired after leading the college for 13 years. Citing his dedication to the community and his legacy of regional growth, Jackson County Commissioners proclaimed his retirement day as “Dr. Cecil Groves Day.” The SCC Board of Trustees awarded him the title of President Emeritus. 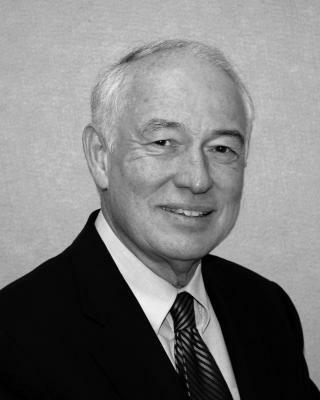 Dr. Richard Collings followed Dr. Groves as president in 2010. In 2011, Dr. Don Tomas succeeded Dr. Collings. Shortly after arriving, Dr. Tomas and SCC launched "Vision 2017" - a long-range strategic planning process. The college has continued to grow and seek out new ways of serving - and partnering with - the communities in Jackson, Macon, Swain Counties and the Qualla Boundary. 1963 – In September, Jackson County furnishes 17-acre site for a technical school ... Construction of first building begins. 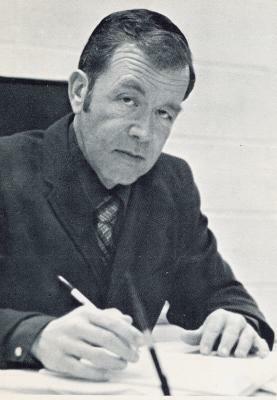 1964 – First class graduates in May ... On June 1, Edward E. Bryson appointed resident director of Jackson County Industrial Education Center, a satellite of Asheville-Buncombe Technical Institute. The JCIEC opened on Dec. 1 with 60 students enrolled in full-time classes and 133 in short-term classes. 1965 – First building, Vocational Building (now Founders Hall) completed. 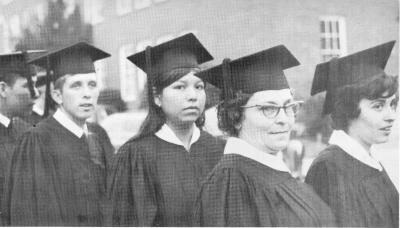 1966 – On Feb. 25, Commencement exercises held for 23 students of Class of 1966 at National Guard Armory. 1967 – College becomes independent school. on Sept. 5. It was decided the college would also serve Macon and Swain counties and the name was changed to Southwestern Technical Institute. 1968 – College begins classes on Jan. 2 as an independent unit of the NC Department of Community Colleges. First Student Government Association formed and elections held. First meeting of the Board of Trustees was on Jan. 22. William B. Dillard elected chairman. Other members: Odell Shuler, vice-chairman; W. Paul Holt, Jr.; Charles S. Slagle; Walter Jackson; Oscar Ledford; R. Paul Buchanan; Bruce McMurray; George J. Steward; John Wikle; Paul Ellis; and James B. Childress. 1969 – Southwestern became the regional GED testing center. 1970 – Technical Building (now Oaks Hall) completed on Sept. 1. 1971 – College receives accreditation from Southern Association of Colleges and Schools in December. 1973 – Southwestern's Foundation incorporated. 1974 – Services Building (now Bradford Hall) and Carpentry Building (now Maintenance Building) completed ... On May 30, the first on-campus commencement ceremony was held. 1976 – Southwestern's Cherokee Center established and Job Placement Office established at Jackson campus. 1979 – Southwestern's Cherokee Center built at Boys Club Complex. 1983 – Learning Resources Center (now The Pines) completed. 1984 – Trades Center (now The Summit) completed. 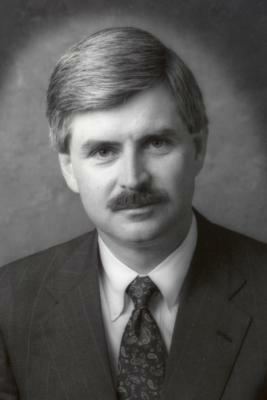 1981 - Norman K. Myers was appointed as the college's president. 1987 – STC Macon County Center opens. 1988 – STC changes name to Southwestern Community College ... SCC Swain County Center opens in Bryson City ... In October, $3.5 million WNC Regional Allied Health and Geriatric Training Center (now Balsam Center) dedicated. 1989 – In April, College opened Child Care Center in Oaks Hall. 1990 – SCC Regional Fire and Rescue Training Center opened, later becoming the Public Safety Training Center. 1991 - SCC names Barry W. Russell as its third president. 1994 – Community Link, a fully interactive television system linking 13 educational sites in Western North Carolina became operational ... Regional Law Enforcement Center established in Macon County. 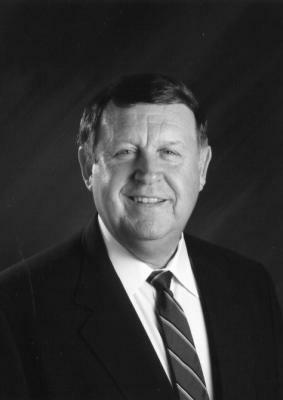 1997 - Dr. Cecil Groves is named Southwestern's president. 2000 – College receives $10.4 million from state bond referendum funds. 2005 – U.S. Department of Education awards SCC $5.9 million grant, which will be directed to public schools in the college’s three-county service area for GEAR UP (Gaining Awareness and Readiness for Undergraduate Programs) ... SCC Alum Michell Hicks, Principal Chief of the Cherokee, named National Community College Alumnus of the Year ...Ground broken for New SCC Macon County Center. 2006 – Construction began on SCC Macon Campus ... SCC achieved superior college recognition by the North Carolina Community College System; Southwestern partnered with the Eastern Band and Western Carolina University to offer an Associate in Fine Arts degree ... Macon Early College was established; it is housed at SCC's Macon Campus ... Southwestern’s partners in BalsamWest FiberNET- Drake Enterprises and the Eastern Band of Cherokee- received the National Council for Resource Development’s prestigious Benefactor Award for their fiber optic network gift to the college. 2007 – Rated number four community college in the nation, according to Washington Monthly ... Achieved superior college recognition for the second year in a row ... New 27,600 square-foot Macon Campus on Siler Road in Franklin opened; Groves Center there is named for Dr. Cecil Groves, former SCC president (1997-2010) ... Two degree programs added: medical assisting and civil engineering technology ... Fine Arts coordinator hired; classes began for the new visual arts program of the Oconaluftee Institute for Cultural Arts ... Student enrollment growth up six percent, setting new records. 2009 – Enrollment climbed with a 14 percent increase over the previous year; Macon Campus enrollment increased by 18 percent ... New building on the Macon Campus was named in honor of the late Oscar Ledford, one of the college’s founding members ... The Public Safety Training Complex in Macon was named after seven-time SCC board chairman Jerry Sutton. 2010 - SCC was once again ranked high in the Washington Monthly's community college's list, and Southwestern was one of 10 in the NCCCS to earn an exception rating ... Jackson County Early College students and staff moved into their new building on the Jackson Campus ... Southwestern appoints Richard Collings as president. 2011 - Dr. Don Tomas was selected as the College's sixth president .... Southwestern's Emergency Medical Science (EMS) program became one of only two nationally accredited programs in the NCCCS. 2012 - The "Vision 2017" strategic planning initiative was finalized, resulting in eight goals and 35 strategies designed to position the college for success over the next five years ... The Burrell Building was completed on SCC's Jackson Campus ... Deanne Oppermann, chemistry instructor, was honored as Outstanding Faculty Member by the NCCCS. 2013 - Southwestern secured more than $1.5 million in grant funding from Golden Leaf Foundation and Duke Energy; the money will be used for advanced manufacturing and robotics training as well as to enhance SCC's computer engineering technology and electronics/electrical technology programs ... Southwestern also reinstated its occupational therapy assistant program, which was shuttered 12 years earlier.